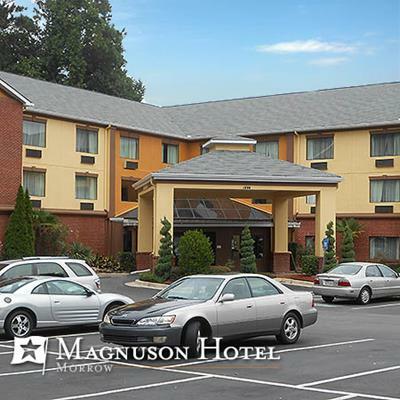 Magnuson Hotels announced today the complete rebranding of the Magnuson Hotel and Suites Morrow. Formerly franchised by Choice Hotels as the Comfort Suites Morrow, Georgia, the hotel will upgrade its local, regional, and national market to attract travelers via an affiliation with Magnuson Hotels’ global portfolio of nearly 2,000 hotels. “We are proud to welcome Sanjay Patel and his entire staff, and are fully committed to increasing their visibility and reservations,” stated Thomas Magnuson, CEO of Magnuson Worldwide. Corporate, educational, government, and leisure travelers will appreciate this 71-room facility located 15 miles from downtown Atlanta, with easy access to Interstate 75. Six Flags Over Atlanta, Stone Mountain, the World Congress Center, and the Georgia Dome are all within 30 miles of the Magnuson Hotel and Suites Morrow. The Magnuson Hotel and Suites Morrow will receive complete global brand representation via an affiliation with the fastest growing hotel brand in history. A top 10 global hotel chain, Magnuson Hotels has added more hotels in the past 11 years than 8 of the top 10 chains combined. The Magnuson Hotel and Suites Morrow will expand its consumer awareness through Magnuson Hotels’ contemporary brand and its massive hotel reservation network including 650,000 GDS travel agents, over 2,000 internet booking channels such as Google, Facebook, Expedia, Hotels.com, Priceline, and all major airlines websites.